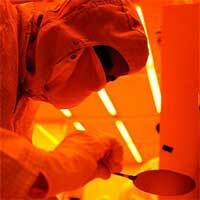 Nanotechnology risks - where are we today? New technology, whether it is a novel cancer treatment or an innovative approach to making a new material, almost always comes with risk. Nanotechnologies are no different. Certain nano-fabrication techniques employ toxic chemicals, the production of carbon nanotubes results in dangerous byproducts, and the big question as to what degree certain engineered nanoparticles could be harmful to humans and the environment has not been answered yet. The potentially adverse health effects of fine and ultrafine particles have been studied for decades. However, at the core of the nanotoxicological debate is the fact that nanoparticles are not just a smaller version of certain particles, but they are very different from their everyday counterparts with regard to their physical properties and catalytic activities. 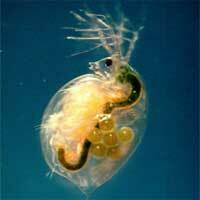 Thus their adverse effects cannot simply be derived from the known toxicity of the macro-sized material. One useful contribution to moving the nanotoxicology discussion further along came from the 1st Nobel Forum Mini-Symposium on Nanotoxicology that was held in Stockholm, Sweden. The event's program was devoted to the topic of definitions and standardization in nanotoxicological research, as well as nano-specific risk assessment and regulatory/legislative issues. A group of international experts presented examples of recent and ongoing studies of carbon-based nanomaterials, including single-walled carbon nanotubes, using a wide range of in vitro and in vivo model systems. This Spotlight will provide you with some highlights and conclusions from this exciting meeting. The much heralded nanotechnology revolution is not happening with a big bang that completely turns our lives upside down, but rather in a creeping stealth mode where many ordinary everyday products, from cosmetics and textiles to electronic devices, sporting goods and car paint increasingly contain engineered nanoparticles. Sometimes, these nanoparticles are just a smaller version of the material already used in a product, for instance zinc oxide in sunscreen lotions, sometimes these particles are a new addition to a product, as for example fullerenes added to oil lubricants to improve their performance. This trend of increasing use of engineered nanoparticles in commercial products raises the question of what happens at the end-of-life stage of these products, when they get disposed or recycled. Is there is a risk of these nanoparticles being released into the environment? 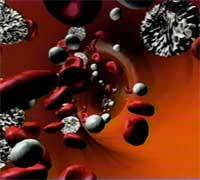 And if yes, is there a risk of these nanoparticles causing harm? This is an area of nanotechnology risk research that remains largely unexplored. In a groundbreaking study to determine the effects of nanoparticles on aquatic organisms, scientists at the University of Wisconsin's Great Lakes Water Institute in Milwaukee have demonstrated that all nanoparticles are not created equal - at least when it comes to their effects on aquatic organisms. They have also discovered that existing attitudes toward the safety of titanium dioxide may be dangerous. The fight against infections is as old as civilization. Silver, for instance, had already been recognized in ancient Greece and Rome for its infection-fighting properties and it has a long and intriguing history as an antibiotic in human health care. Modern day pharmaceutical companies developed powerful antibiotics - which also happen to be much more profitable than just plain old silver - an apparent high-tech solution to get nasty microbes such as bacteria under control. In the 1950s, penicillin was so successful that the U.S. surgeon general at the time, William H. Stewart, declared it was "time to close the book on infectious diseases, declare the war against pestilence won." Boy, was he wrong! These days, the U.S. Centers for Disease Control and Prevention (CDC) estimates that the infections acquired in hospitals alone (of all places! it's 2007 and we can't even make our hospitals safe - how scary is that?) affect approximately 2 million persons annually. In the U.S., between 44,000 and 98,000 people die every year from infections they picked up in hospitals. As our antibiotics become more and more ineffective researchers have begun to re-evaluate old antimicrobial substances such as silver. 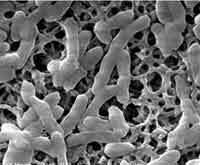 Antimicrobial nano-silver applications have become a very popular early commercial nanotechnology product. 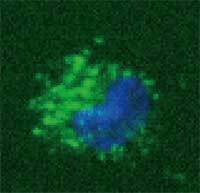 Researchers have now made a first step to add carbon nanotubes to our microbe-killing arsenal. 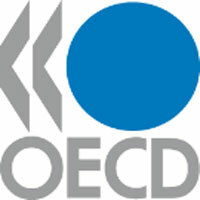 The Organization for Economic Co-operation and Development (OECD) is an intergovernmental organization in which representatives of 30 industrialized countries in North America, Europe and the Asia and Pacific region, as well as the European Commission, meet to co-ordinate and harmonize policies, discuss issues of mutual concern, and work together to respond to international problems. Most of the OECD's work is carried out by more than 200 specialized committees and working groups composed of member country delegates. The OECD's Environment, Health and Safety Division has taken up the safety of nanomaterials as one of their priority issues. 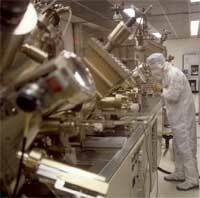 After several preliminary meetings in 2005 and 2006, the OECD's Chemical Committee set up a Working Party to address the health and environmental safety implications of manufactured nanomaterials (the WPMN). After a meeting in Berlin, Germany earlier this year, the WPMN has just released a document that compiles information provided by member countries and other delegations on current developments on the safety of manufactured nanomaterials in their countries or organizations and also on current activities related to nanotechnologies and nanomaterials in other International Organizations such as the International Organization for Standardization (ISO). The report makes clear that there are numerous projects and initiatives going on with regard to nanotechnology safety research. It would be nice at some point to see all these research results come together in one coherent and conclusive set of results as to where and what the risks are and how they will be controlled and managed. The question if certain engineered nanoparticles are toxic, and if yes to what degree, is still one of the major issues that hasn't been properly answered yet. Most studies in the literature thus far have focused on the environmental aspects of nanoparticle toxicity, and these studies have been conducted primarily on industrial or natural/incidental nanoparticles. However, engineered nanoparticles are at the forefront of the rapidly developing field of nanomedicine; and here they are deliberately injected into the body to perform a specific medical application: fluorescent agents for imaging; drug delivery vehicles; or therapeutic agents for the destruction of cancer cells (for instance in thermolysis); just to name a few. A brand new review article provides the first comprehensive summary of the properties of engineered nanoparticles which determine their interaction with components of the immune system. It concludes that nanoparticle-based therapeutics are no more intrinsically immunotoxic than traditional pharmaceuticals, such as biotechnology-derived or small molecules. Moreover, incorporation of traditional drugs into nanotechnology formulations frequently results in a decrease in immunotoxicity compared to the native drug. Although many questions still require thorough investigation, the available data suggest that nanoparticles can be engineered to become the next generation of biocompatible drug delivery platforms. A quantum dot (QD), also called a nanocrystal, is a semiconductor nanostructure that can be as small as 2 to 10 nm. The usefulness of quantum dots comes from their peak emission frequency's extreme sensitivity - quantum mechanical in nature - to both the dot's size and composition. QDs have been touted as possible replacements for organic dyes in the imaging of biological systems, due to their excellent fluorescent properties, good chemical stability, broad excitation ranges and high photobleaching thresholds. However, the main drawback of QDs is their toxicity and therefore their application is problematic. If this toxicity problem could be addressed, QDs may one day be safely utilized in many areas. For instance, cadmium telluride (CdTe - which is toxic) QD based nanocomposites can be used as fluorescent probes for biological imaging, they can also be utilized to monitor targeted drug delivery and for controlled modification of structural and functional properties of intracellular components. Scientists in Ireland have been using gelatin during the production of CdTe QDs thereby reducing the toxicity of the particles. Their approach could be useful for the development of other nanoparticle composites with low toxicity as well. New technology, whether it is a novel cancer treatment or an innovative approach to farming, almost always comes with risk. Those risks are often first - and most severely - felt by industry workers, and nanotechnology is no different. Today, workers around the world are exposed to nanoparticles on a daily basis. There is much speculation, yet so far, little definitive information about how exposure affects workers. A report released by the International Council on Nanotechnology in November 2006, offers a clear picture of the situation. "The properties for which novel nanoscale materials are designed may generate new risks to workers, consumers, the public, and the environment. While some of these risks can be anticipated from experiences with other synthetic chemicals and with existing knowledge of ambient and manufactured fine particles, novel risks associated with new properties cannot easily be anticipated based on existing data." Questions, such as how to measure toxicity and how to monitor and control exposure, remain unanswered.